This is a child friendly home situated on the estuary edge. It is a two storey brick house surrounded by huge decks, and has large family and dining area. The double garage has 4 inbuilt bunk beds. The section is completely fenced. Close to the local school which has a great playground and tennis court. The shop is 2 minutes walk away and takeaways are available on the weekend and during the week over the summer holidays. 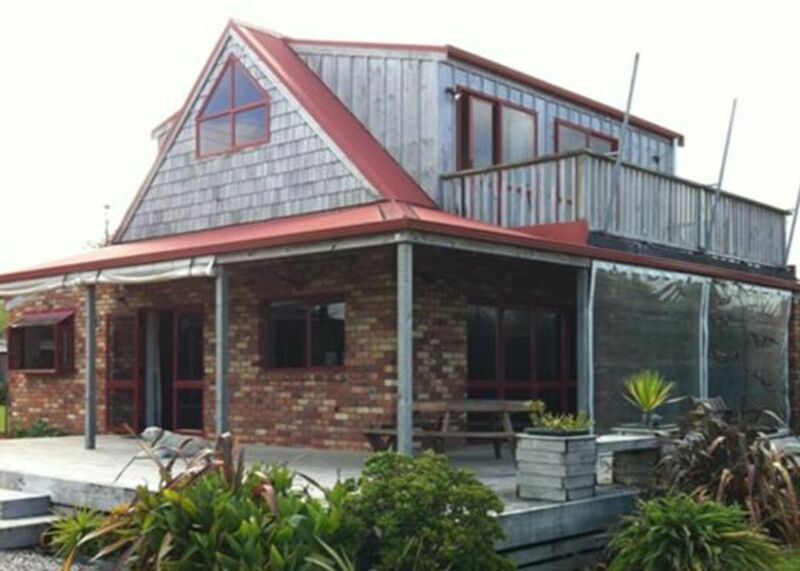 It is close to the boat ramp, and beautiful Northland beaches are a mere 5 minutes drive away, or take a leisurely walk over the longest walking bridge in the southern hemisphere, to Whananaki South beach. Or walk to the historic Captaine Bourgaineville monument, which is part of the Coastal walkways. Local beaches boast great fishing, diving, and surfing. Or go skiing, wind surfing, or biscuiting across the road in the estuary. Borrow one of the numerous books to sit down and relax with while the kids enjoy themselves. Ample parking for boats, trailers and cars within the fully fenced yard. Additional Pricing details: The price per night is for 6 adults, however we have to add an additional charge for groups. $30 for each extra adult and $20 for each extra child under 13 years of age. Great house with plenty of room for a familynholiday.lovely walks nearby and a short drive to swimming beaches. property in good state and was neat. Perfect location, we will be back!